Another term that is often associated with Crowdsourcing is Open Innovation. What is the relationship between crowdsourcing and open innovation? Are both the same? 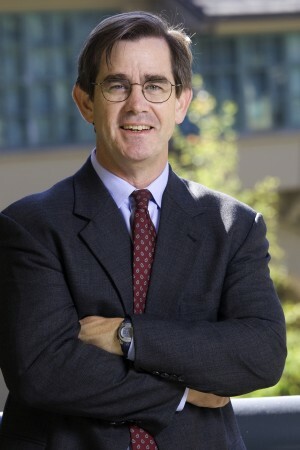 Open Innovation, term coined and defined by Henry Chesbrough in 2003, is a paradigm that assumes that firms can and should use ideas both internal and external, and internal and external channels to market. There are many authors who tend to identify in some way the crowdsourcing with Open Innovation, treating them as synonyms (Chanal-Fasan & Caron, 2008), identifying crowdsourcing as a particular type of Open Innovation (Nambissan & Sawhney, 2007; Burger-Helmchen & Penin, 2010) or even creating a hybrid between both processes: Crowdsourcing Innovation (Oliveira et al., 2010). Jeffrey Phillips, in his chapter “Open Innovation Typology” of the book “A Guide to Open Innovation and Crowdsourcing”, identifies the crowdsourcing as a way of implementing Open Innovation. It proposes an Open Innovation taxonomy and explaines each of the four resulting types with an example of crowdsourcing that fits perfectly. To support this approach, it’s very usefull to consult the “Business Model Generator” book, written by Alex Osterwalder, where the author proposes a business model for Open Innovation and illustrates the business model with the example of InnoCentive, a classical crowdsourcing example. In other words, crowdsourcing and open innovation can use the same business model. The similarity between the two processes is because both, Open Innovation and Crowdsourcing, are based on the same paradigm: knowledge is distributed and its use (in the R&D processes, for example) can be a competitive advantage. Besides the use of external knowledge sources, there are other common elements or characteristics such as reducing risk, increasing the speed in product development or improvement in innovation, for example (Schenk & Guittard, 2009). Open Innovation focuses only on the innovation process, while crowdsourcing can pursue other goals: funding through crowdfunding, discover use opinions through crowdvoting, etc..
We can then conclude that there is a common area between crowdsourcing and Open Innovation, where we find the crowdsourcing initiatives that Howe called crowdcasting (i.e. InnoCentive) and crowdstorming (i.e. IdeaJam). However, nor all crowdsourcing initiatives involve Open Innovation, nor any Open Innovation activity has to be carry out though a crowdsourcing initiative.